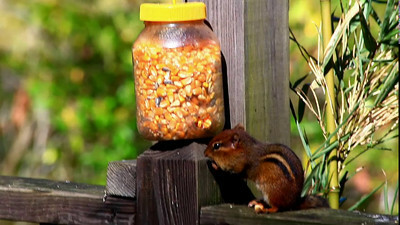 Chipmunk eating Bluebird Pellets and corn from a plastic jar. 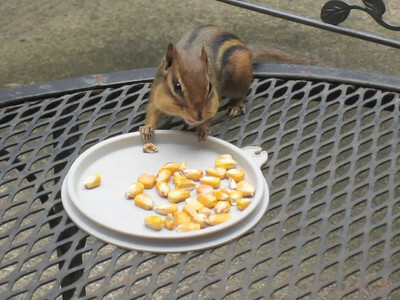 We've got our chipmunks trained to go up on the patio table and eat the corn and seed. 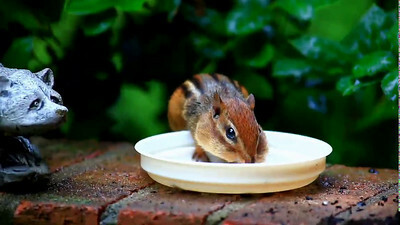 They will fill their mouths up again and again. 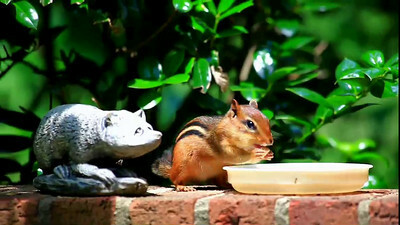 A hungry chipmunk eating (and will also be storing) the corn from a plastic jar on our deck. 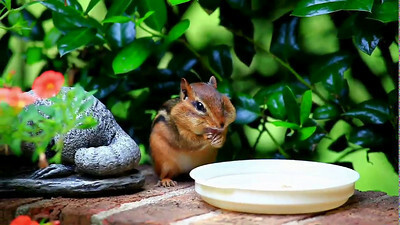 Chipmunk stuffing his face with Bluebird pellets! 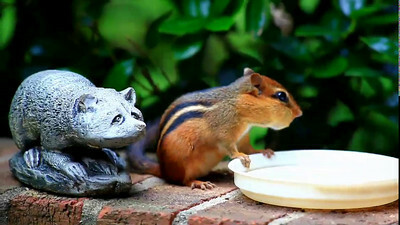 Chipmunk loves the bluebird pellets! 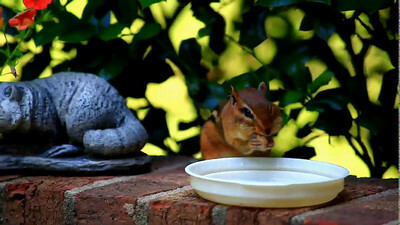 Just have to keep the squirrels away!! Stuffs almost all the pellets in his mouth! Totally full!